Since my regular storytime last week got cancelled because of the daycare being closed for Good Friday, I rescheduled it for today and used the opportunity to plan an April Fool's Day storytime. I found several good books either about playing tricks or tricking the reader. First we sang our welcome song, then I explained that it was April 1st and how April Fool's Day was all about having fun playing silly (but not mean) tricks and jokes on each other. We sang our story song then read our first book, Barnyard Fun by Maureen Wright and Paul Ratz de Tagyos. I was so excited when I found this book! I had doubted whether I could find a book that was suitable for a preschool storytime that was actually about April Fool's Day, but this one is perfect. 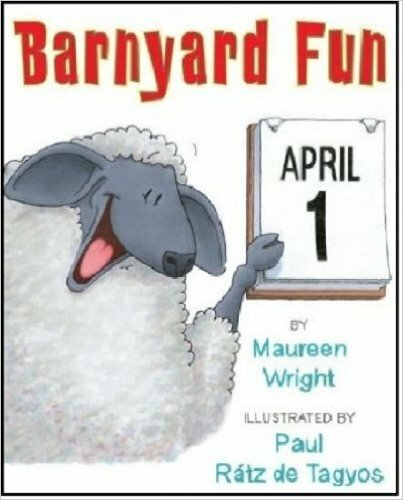 In this story, Sheep plays April Fool's tricks on all the other farm animals, but gets a taste of his own medicine in the end. 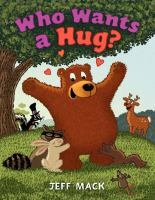 The illustrations are clear and the text short and rhyming, and the humor is not too sophisticated for preschoolers. The third book I choose was a little bit different. 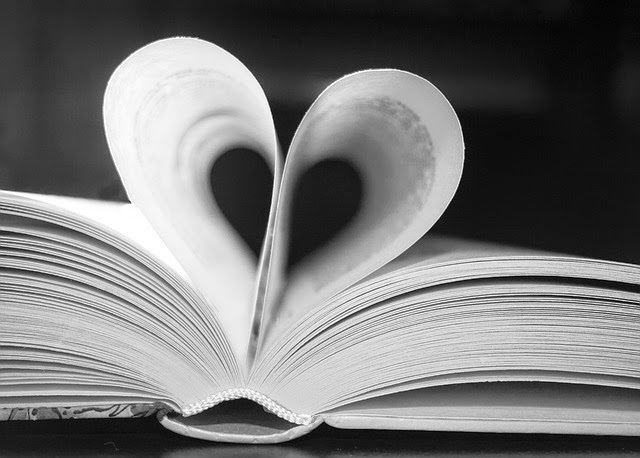 Instead of having characters that trick each other, the book plays tricks on the reader. Guess Again! 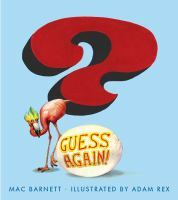 by Mac Barnett and Adam Rex has riddles told in rhyming quatrains, that along with the illustrations, deliberately mislead the reader/audience into making an obvious, yet wrong, guess. Then, just when they think they've got it all figured it out by the end, it tricks them again. This is pretty short and simple (or so I thought), but the 3-year old's didn't quite seem to get, but it works really well with older kids. After that, I asked them if they wanted to play an April Fool's joke on their teachers, and of course they did. So I showed them the pan full of letter "E"s cut out of brown craft foam, and explained they were "brown-E's", like "brownies". 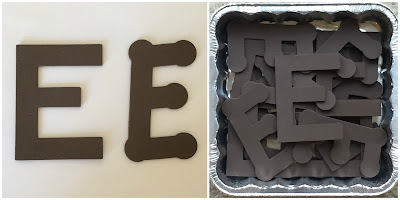 I let them take turns holding the pan of brown-E's and asking each adult as we went around the school if they'd like any brown E's, then saying "April Fool's!" Then I let each child have one of the E's to take home so they could play the joke on their families. After that, we re-grouped back in the classroom to sing our closing song, and line up for hand stamps. I was really looking forward to this storytime, thinking it would be a lot of fun, but I have to admit it was a bit disappointing. Because it was spring break for the public schools several of the kids were absent, leaving me with only six. And it just so happened that of the six that were there, five of them were among the most immature of the class, and none of the more mature, engaged kids were there to help set an example. Even though the first book should have been perfectly suited for them, they just could not settle down and pay attention enough to follow what was happening. You might notice I deviated from my usual book-activity-book-activity-book plan today. There were several factors that led to this. First, I really couldn't find any good songs/rhymes to go with the theme. 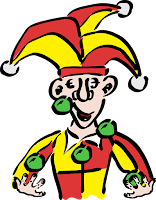 The best I could come up with were some silly songs that mixed things up, but not really anything about playing jokes or tricks. Second, I've had either a cold or allergies playing havoc with my throat this week, which makes singing particularly difficult. Third, the kids were just finally starting to settle down by the end of the first book. So I decided rather than stirring them up again to do a song I wasn't really feeling, I'd just proceed straight to the second book. Fortunately, they really liked the second book, with all the funny tricks backfiring on Skunk; "Serves him right!" said one little girl. I still think this was a great selection of books under normal circumstances; hopefully I'll get a chance to use them again with a slightly more mature group of kids. For a few more book suggestions for April Fool's Day, see my previous post, "Seven Great Picture Books for April Fool's Day". Thank you for sharing these! I am ordering them for next April 1st!